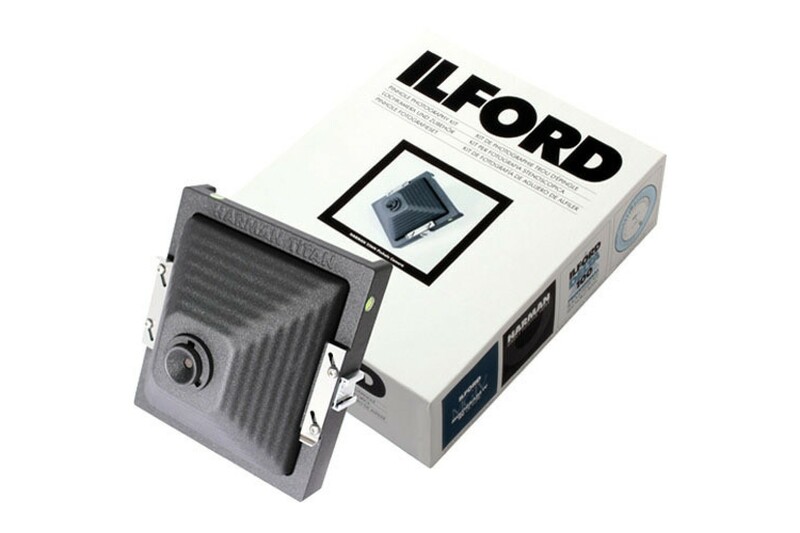 Made of lightweight yet heavy-duty ABS plastic, this large format camera is a great contender when it comes to delivering quality pinhole shots. The HARMAN TiTAN Pinhole Camera is a robust large format shooter, made from injection-moulded ABS plastic and finished with a non-slip coating. All fittings are made from stainless steel, making this camera exceptionally durable and able to withstand extreme outdoor shooting conditions. 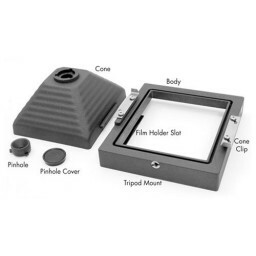 This kit comes with a 72mm wide-angle cone which is interchangeable. Separate cones of 110 and 150mm are already available in some parts of the world. 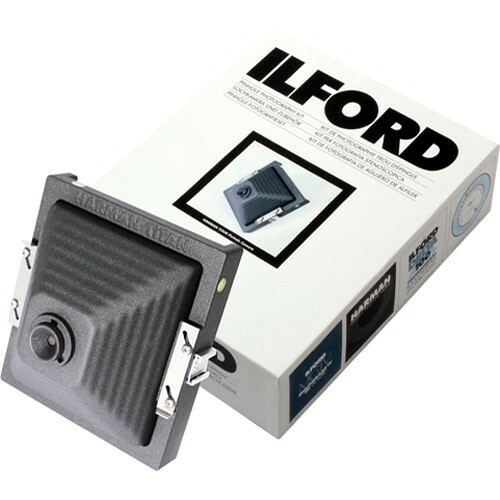 This camera has been designed in conjunction with and manufactured in the UK by Walker Cameras, who are well-known for their range of large format film cameras.